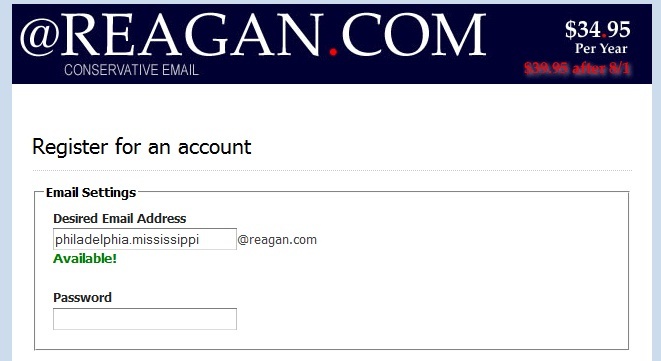 Send Michael Reagan $35, get a Reagan.com e-mail address! 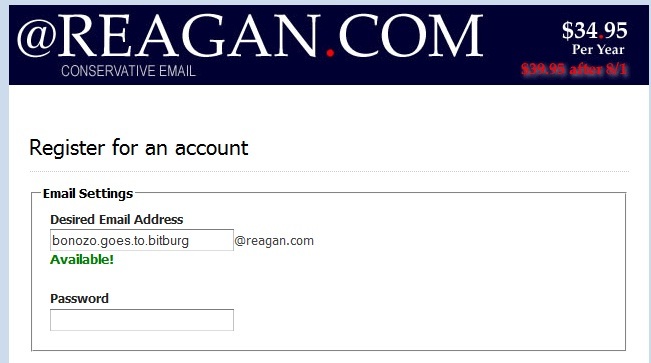 For the low, low price of $35 a year, you can trade in your tired old "free" Gmail or Yahoo or Hotmail e-mail address for the privilege of enriching the man Ronald Reagan and his hated first wife adopted in 1945 and promptly forgot about. 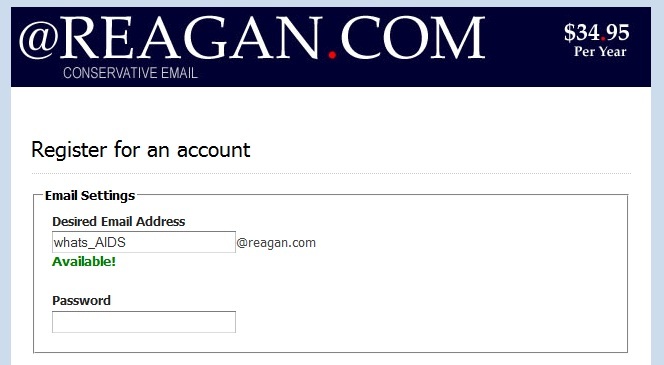 That's right: Michael Reagan is selling "@reagan.com" e-mail addresses. Offer ends tomorrow! I know, I know, Michael Reagan totally stole this idea from us stealing that idea from Tucker Carlson. 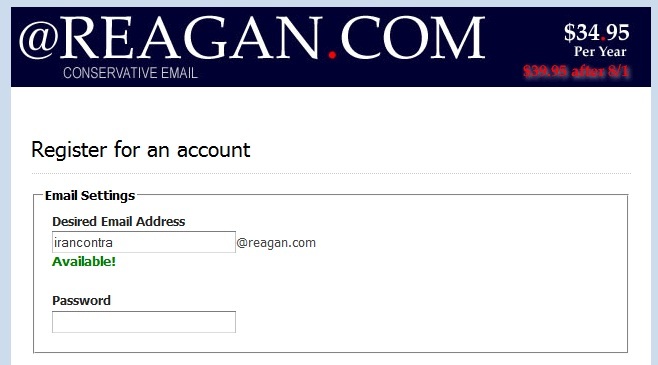 But when you buy a reagan.com e-mail address, you also get a DVD of his "tear down that wall" speech. So it's basically a steal! No one can begrudge Michael "I'm your son, Mike" Reagan his right to capitalize on the one thing his deadbeat father left him with -- a name that is worshiped by thousands of old people willing to send money to anything they see advertised on World Net Daily -- but the relentlessness with which he pimps out the Reagan name would embarrass a Lohan.